Cutting Up a Watermelon the Easy Way - JP loves LIFE! I have been trying to eat more fruit and one thing I have found I need to do, is keep it handy. Different kinds of fruit too. 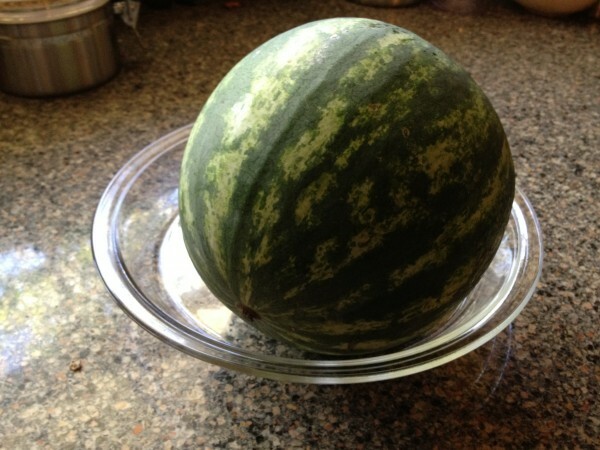 So, watermelon spears is one of the things I’ve been keeping ready nearby. That way I don’t have any prep every time I want a snack. 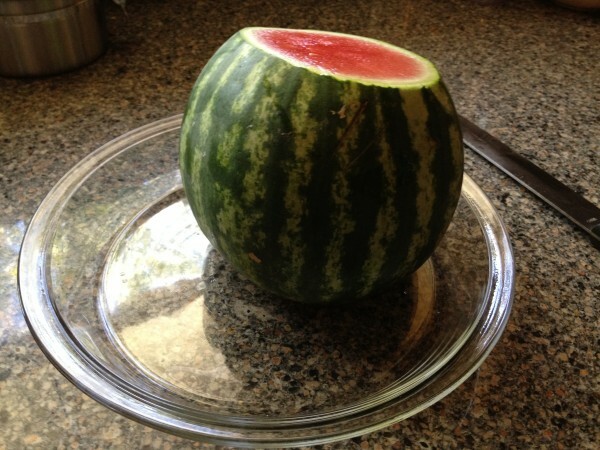 It seems a lot of folks still wonder how that’s done so here’s a photo step-by-step of how I cut the small melon I bought this weekend. You’re a genius. And I’m stealing this. LOL! Not sure I’m a genius, it just helps me not make a mess, gets it in a form I can keep it in the fridge too! WOW! That’s a fantastic idea!!! I’m sure there are other great ways too but this one works really well for me! 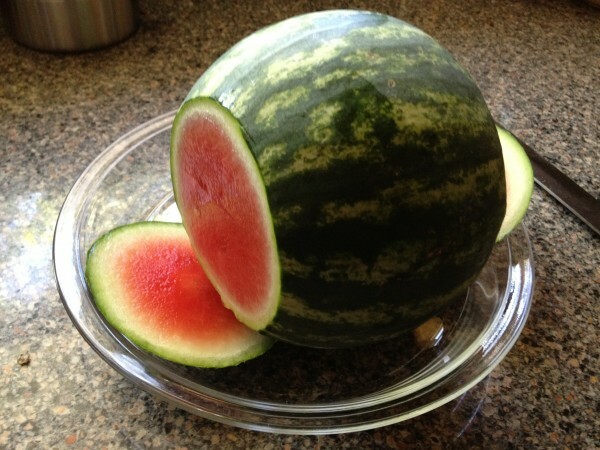 For full size melons, I cut in half and then do this! 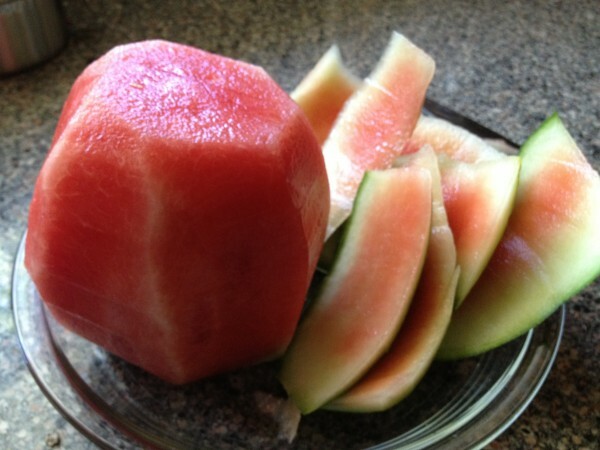 I always dislike cutting up watermelons. They never seem to look that great when I do them. 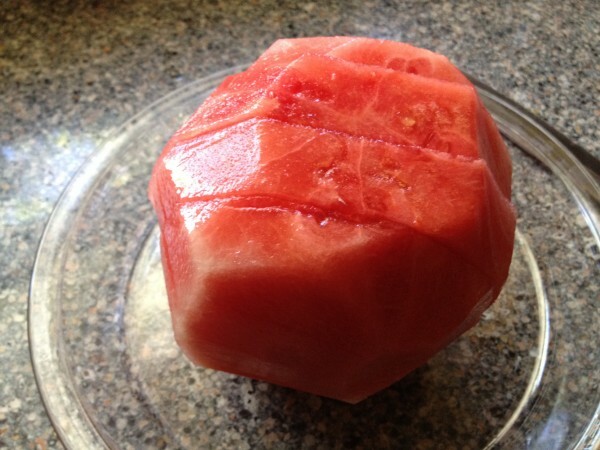 Incidentally, great timing for a watermelon post. August 3rd is National Watermelon Day. I know this because we often have gone to the Watermelon Festival in Rush Springs Oklahoma. I know its coming up too because I have been watching the advertising for it! 🙂 Sounds like a fun festival and well timed with the heat! Are you going? Awesome! 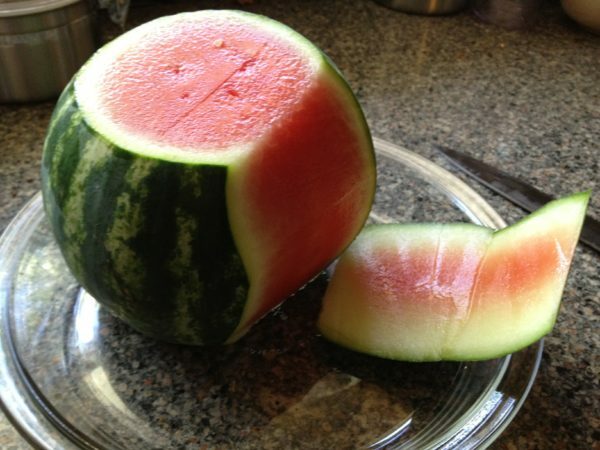 Cannot believe that I have not thought of this before now as much watermelon as we eat!